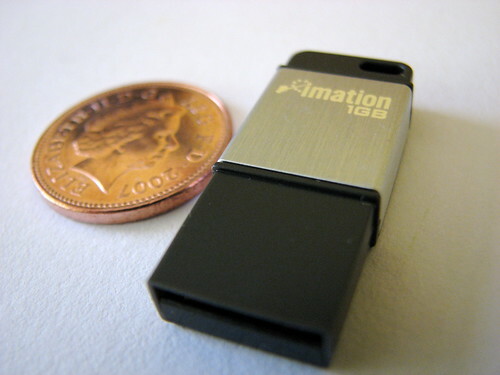 Flash storage drives have continued to shrink whilst the capacity has increased. 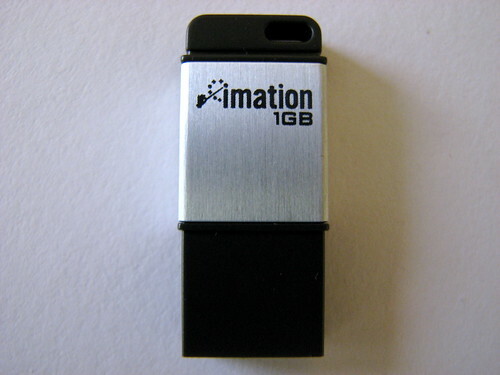 The Imation Atom Flash drive is a prime example of this miniaturisation with a thickness of less than 0.5cm and weighing in at 9g with capacities starting at 1GB going all the way up to a colossal 8GB. 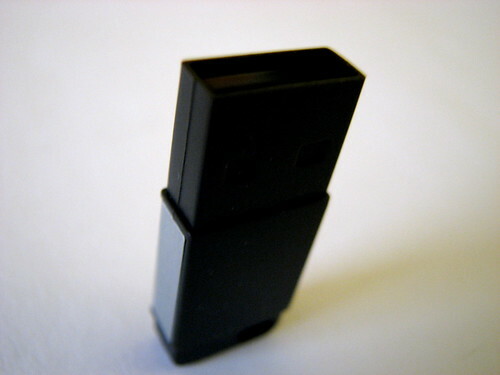 The Atom is a plug-and-play USB 2.0 drive, making it useable on nearly any machine going back as far as Windows 98. With the Atom stored in your pocket, it’s very difficult to tell whether it’s in there or not. It’s perhaps best if you actually include the drive on your keychain rather than transporting it freely. For peace of mind if you do lose the drive, included on the drive is password protection software to secure your data using 128-bit AES encryption. In my tests with Windows Vista, the flash memory chip used for the Atom is fast enough to take advantage of the Vista ReadyBoost feature allowing you to dedicate a portion or the entire drive as extra RAM for your system. However, the real world benefits of using ReadyBoost are less compelling. In my file transfer test, I copied across a 358MB file. To give an indicator of where the performance sits in the grand scheme of things, I did the same time test using the same file on my 12-month old 4GB USB flash drive from bytestor and my Western Digital MyBook Studio 500GB external hard drive over FireWire. The Atom finished the transfer in 1 minute 9 seconds. This compares well to my old flash drive which took 2 minutes 20 seconds to complete the exact same test. Expectedly so, the FireWire hard drive came in at a blistering 11.7 seconds. The Atom is a classic example that represents technological progress. It was only a matter of time before it happened and Imation have demonstrated that large storage doesn’t equal large device. You don’t appreciate just how small this drive is until you actually try to pick it up and find that there’s not really much room for you to grab.